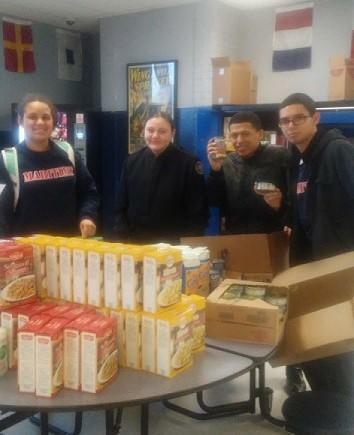 In conjunction with The Food Bank of WNY, Maritime operates a food pantry, for our high school students, from our cafeteria (a.k.a. mess hall). A $20,000 grant, received from the Food Bank, has enabled us to help students help their familes. Every Thursday, after school, students learn to select an array of foods to bring home. Maritime was the first school to implement this program and train other schools. Our students, who participate, are thankful to have this program available to them! New this year; We are now eligible to participate in the Community Eligibility Program which allows ALL students in our Middle and High Schools to receive FREE breakfast and lunch. Much Appreciation goes out to our Food Service staff for everything they do!